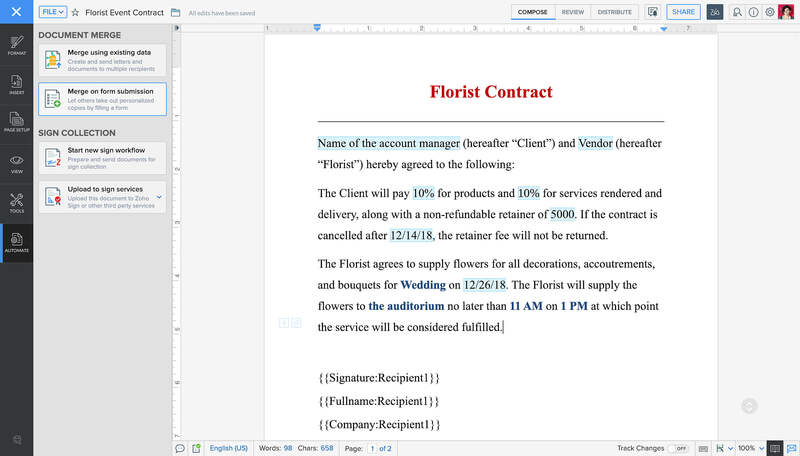 With the right blend of AI, automation, and other exciting features, word processing has never been this effortless. Here's everything that's new. Meet Zia. Your new writing assistant. 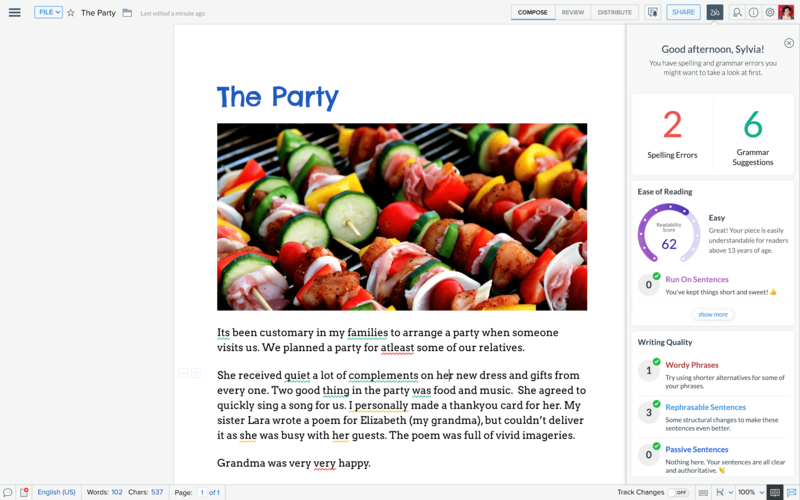 Zia, Zoho's intelligent assistant, is now part of Writer. She's designed to help you write better. She's smart enough to understand the context of your piece and capable enough to give it the polish it deserves. And the best part? She does it all while working quietly in the background—in real time. 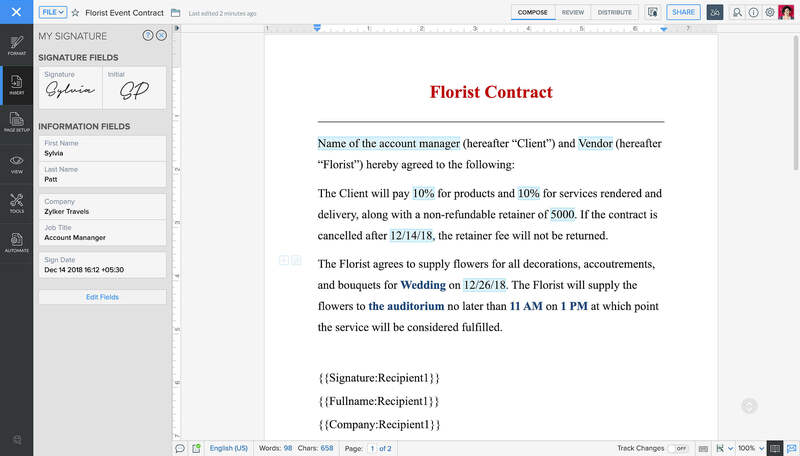 Create proposals, letters or contracts you can repurpose across your processes without any manual work. 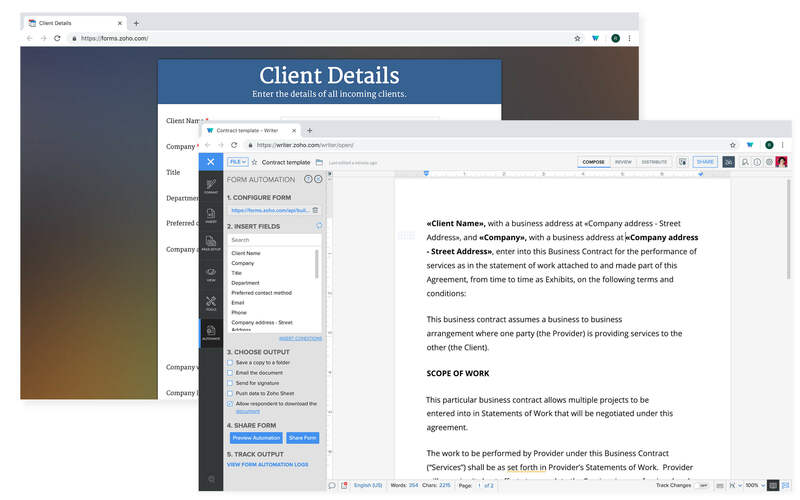 Writer now comes with powerful document generation and automation tools to help you streamline workflows and save time. 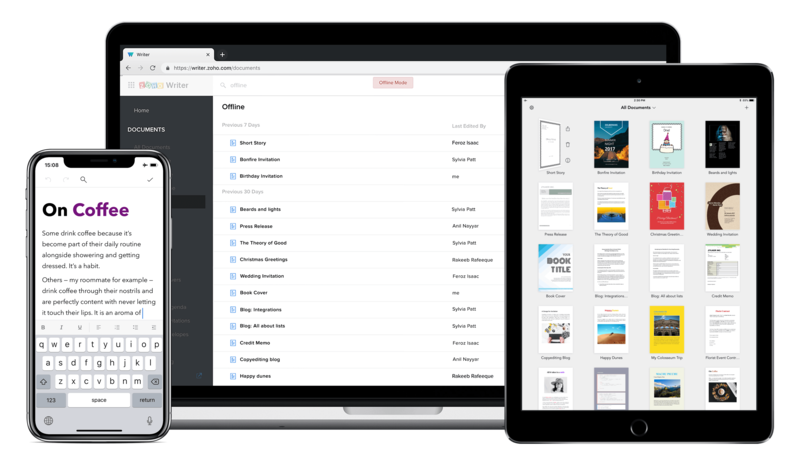 Let your clients collect their personalized copies on the go. All they have to do is fill out a form. 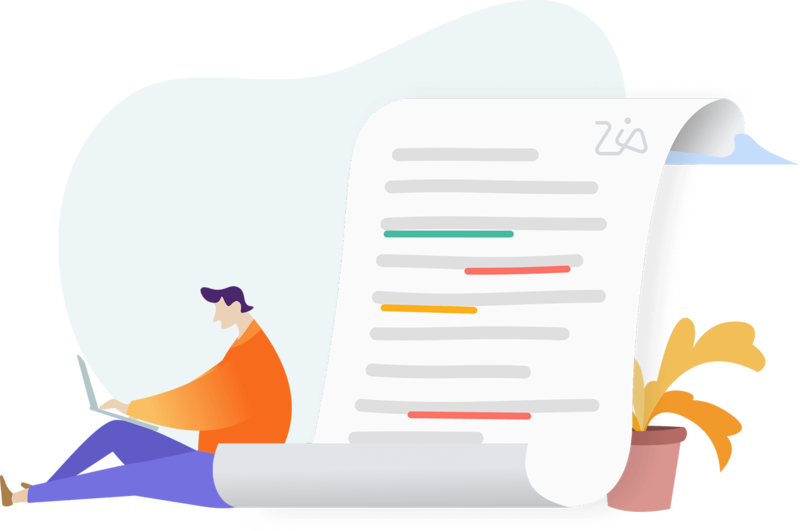 Writer has now added Zoho CRM as a data source, which means you get the flexibility to create and merge documents, pull in your leads, and send them personalized contracts or letters, all from one platform. Turn off the lights, get comfortable and write away! 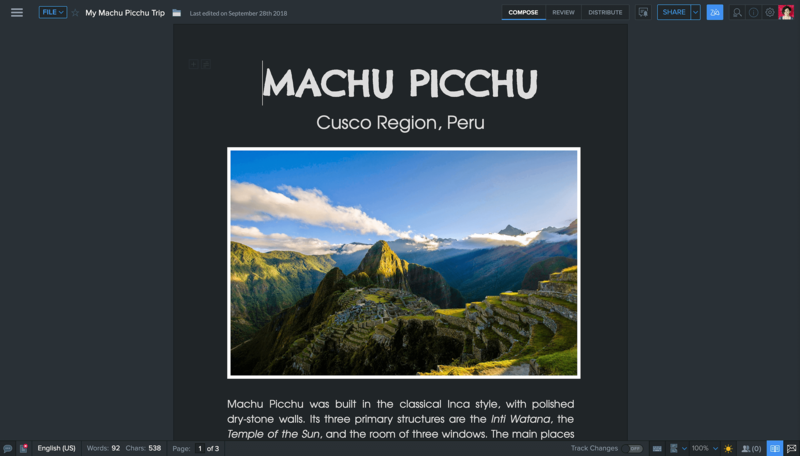 Night or day, choose the setting you want and keep writing uninterrupted with Writer's new night mode. 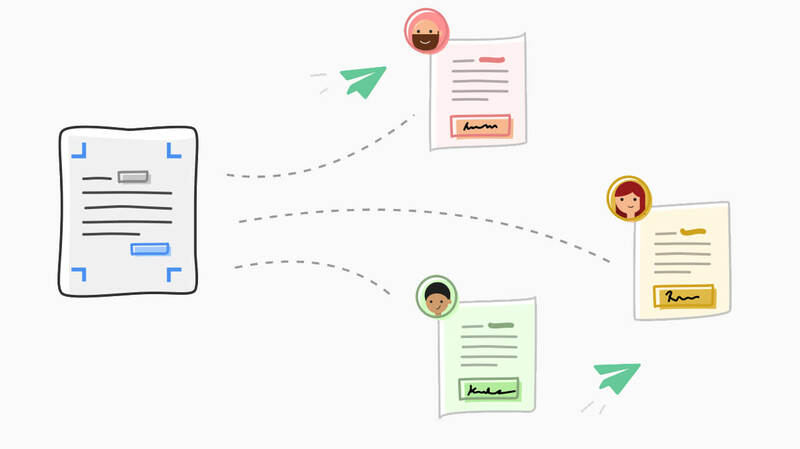 Bid adieu to the hassle of paper signatures. 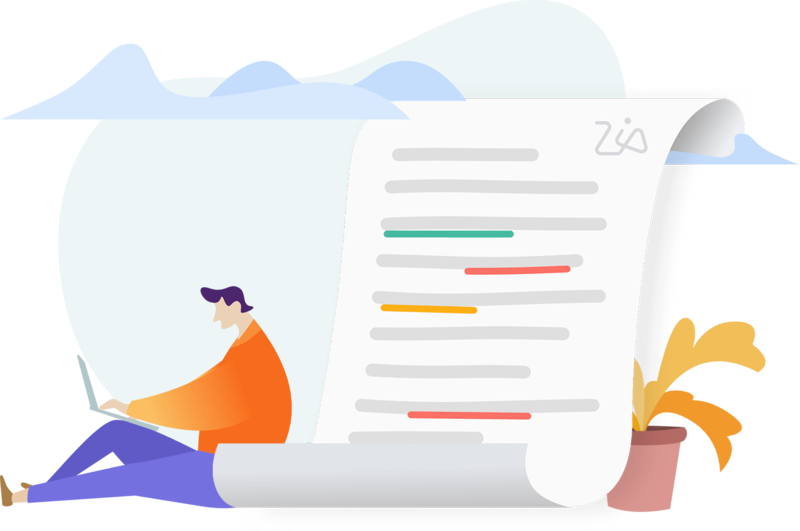 We've joined with Zoho Sign to bring the convenience of electronic signatures to Writer. Scan, store, and generate copies of your physical signature and add them to documents whenever you want. The new bulk invite options let documents be configured and stored in any order, flow, or route you'd like. 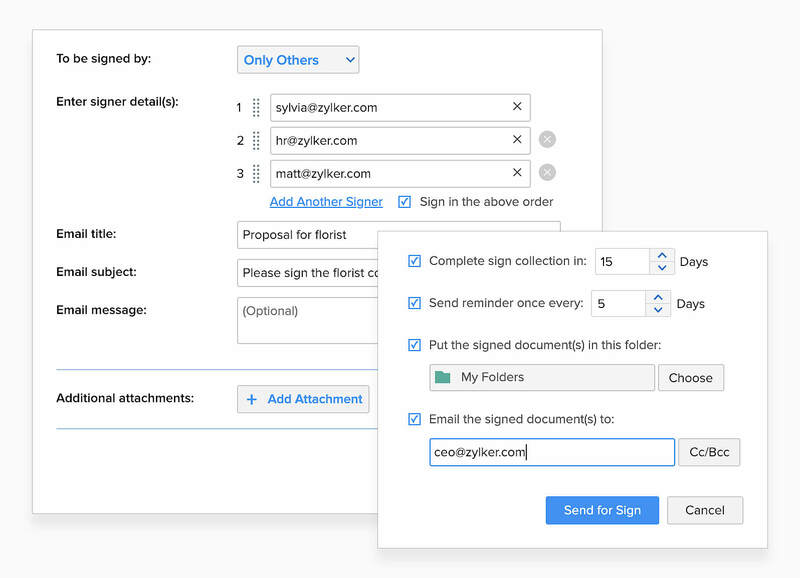 Generate and send personalized copies of documents in bulk and send them out for signatures—all using just one template. 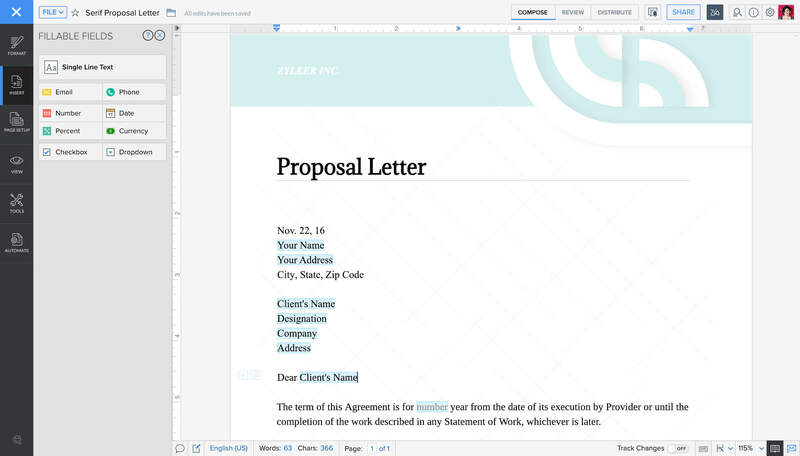 With the Fillable Fields feature, you can now insert editable fields into your documents, and present them as forms to recipients. 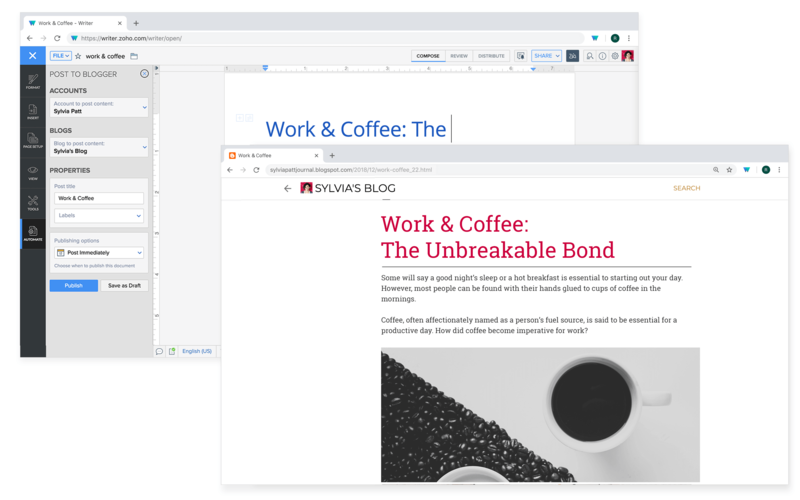 Writer now works without a connection, so you can take your laptop or iPad on a train or a long flight, and keep writing uninterrupted. Tailor made features for a blissful writing experience. Stay focused and never lose track of your current paragraph with the new Focus Typing mode. 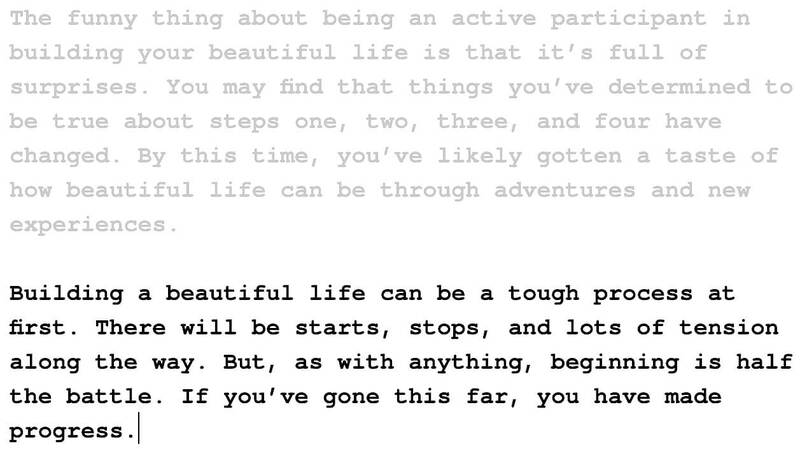 We've also added new typing sounds to bring back the nostalgic typewriting experience. 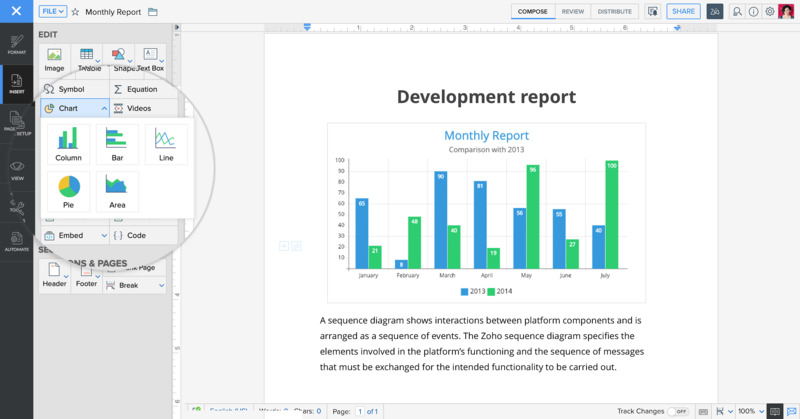 Insert charts, sync the data from Zoho Sheet and let Writer create the chart for you. Syncing data also automatically updates charts in Writer whenever changes are made to the data in Zoho Sheet. 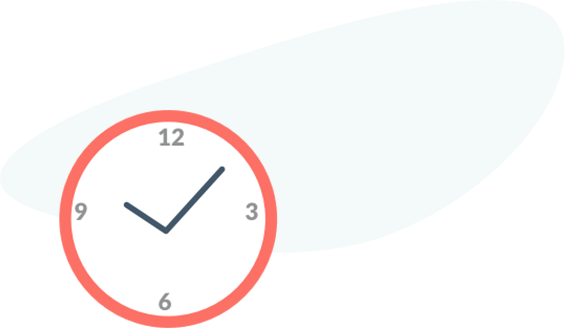 Finalise your post and publish it to Blogger or WordPress immediately or schedule it to make Writer publish your post at any future date or time you want.